Babassu oil aka cusi oil is extracted from the seeds of the babassu palm aka attalea speciosa. The tree grows up to approximately 20 meters tall and can be found in Brazil, South America. 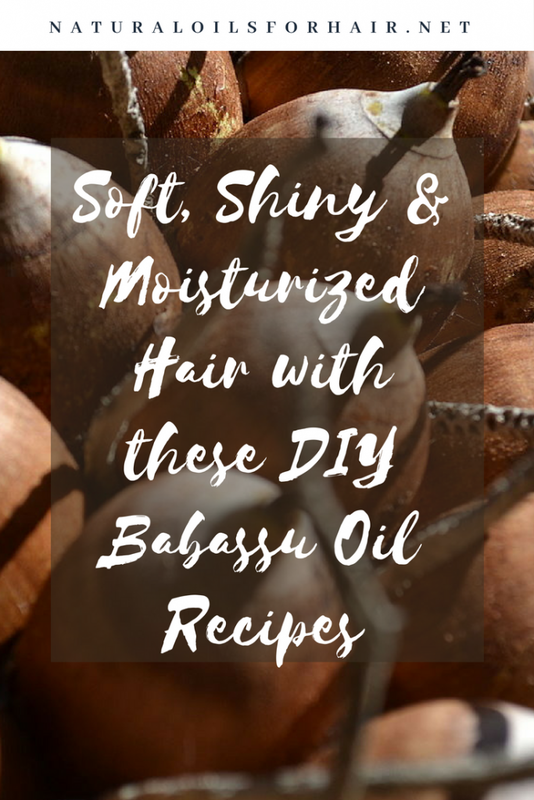 In this article, we’ll discuss babassu oil meaning, benefits of babassu oil for hair, DIY babassu oil recipes, where to buy the best babassu oil, babassu oil vs coconut oil and the best babassu oil hair products. 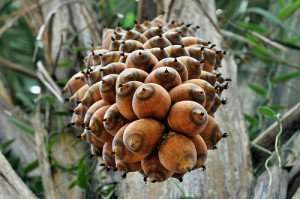 Babassu oil is obtained from the babassu palm. It is a clear light yellow to nearly white with properties similar to coconut oil (monoi oil is also similar to coconut oil btw). Babassu oil is a non-drying oil used as an ingredient is lots of skin and hair beauty formulations (list below). In February 2008, Virgin Atlantic flew a Boeing 747 from London to Amsterdam using a combination of babassu oil and coconut oil. 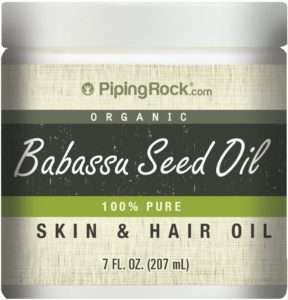 Babassu oil contains a wide variety of fatty acids such as lauric acid, myristic acid, palmitic acid, stearic acid, oleic acid and linoleic acid. It is an excellent multipurpose oil that works wonders on hair and can be used in place of or mixed with coconut oil. Slightly heated before applying it to hair, Babassu oil forms a protective, soothing coating around it. It is an effective emollient for dry, brittle and/or damaged hair. Babassu oil penetrates quickly into the hair and doesn’t leave behind a greasy feel to your strands. 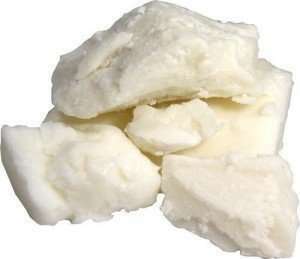 Babassu oil is an excellent addition in body butter recipes, massage oils, and shampoo and deep conditioner recipes. It can also be used to replace coconut oil if necessary. Can also be used in beard oil recipes. Its antibacterial properties help treat a range of ailments such as eczema, dry and itchy patches and inflammation on the scalp although I prefer coconut oil for this treatment. With a profile similar to coconut oil combined with its emollient properties, babassu oil can strengthen hair and improve elasticity. If stored in a tightly sealed container in a cool corner, the shelf life of babassu oil should extend well into 1 -2 years. You can also use this oil to extend the shelf life of other less stable oils. Babassu oil and coconut oil have very similar profiles. However, there are a few differences between them. Read an in-depth breakdown of babassu oil vs coconut oil here – What Are the Differences Between Babassu Oil and Coconut Oil? Ylang-ylang essential oil or lavender essential oil for fragrance (optional). Add in the babassu oil and whip together thoroughly. Then add in the vitamin E oil and whip some more until you achieve a smooth consistency and it looks light and fluffy like a mousse. Add in the ylang-ylang or lavender essential oil if using. Pour into an airtight jar then leave in the fridge for a few hours to set. Alternatively, you can blend the ingredients if hand whipping is too much work. You can also use a piping bag to get it into the jar. Apply as needed to seal in moisture. Gloves and goggles for protection. Measure and weigh out all the ingredients before you start. Add all the oils into a crockpot and heat on low to medium heat. Ensure the temperature doesn’t go over 150F. Set the pan away from you to protect from splashing then pour in the distilled water followed by the lye. Wait until it is completely dissolved (the mixture will be clear). Remove the oils from the stove once it is at 150F, then slowly pour in the lye and distilled water mixture them mix together with a hand blender taking care of splashing. Mix until you achieve a trail like consistency when you drizzle the mixture. Put the crockpot back on the stove and cook for 2 – 3 hours. If the mixture starts to bubble over, stir it gently. Wait until the mixture has thickened then test with ph strips to check if ready. Add in the essential oils and colour if you like then scoop the soap into the moulds. Cover moulds with plastic wrap then let the soap set for 1 – 2 days. Remove from the mould, and cut into pieces if desired. Your DIY shampoo bar is all done. There are also several other oil combinations to make your own shampoo bar, which I will explore in a more comprehensive article about DIY shampoo bars with oils later on. If you’re not up to making your own shampoo bar, you can get your ready-made shampoo bars here – Soap for Goodness Sake Babassu Shampoo Bar and Soap for Goodness Sake Babassu & Coconut Milk Shampoo Bar (2 in 1 goodness). Grab all the ingredients above at premium rates on Amazon by subscribing to Amazon Prime. Find out more and how to join HERE. If you would like to know more about how to use natural oils for specific purposes to get more effective use out of them, you may want to check out How to Grow Hair Healthy & Long with Natural Oils, a guide which goes in-depth into which specific oil (s) works for each hair issues for optimal length and health.